City schools budget tops $1 billion. But is that enough in poor district? 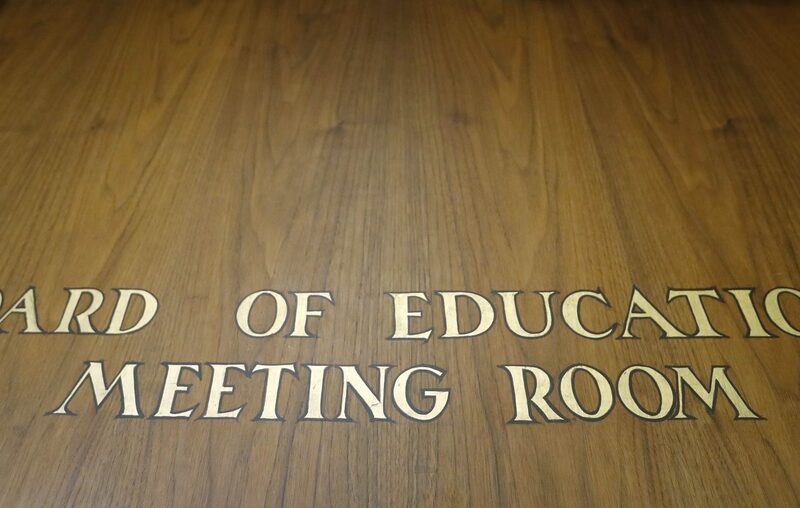 Buffalo’s Next School Board: With all nine board seats on the ballot May 7, The Buffalo News is looking at critical issues that will face a new board in the often-troubled district. Today: District finances. If there’s one certainty about what’s in store for a new Buffalo Board of Education, it’s that fiscal challenges lie ahead. They always do. You might think a $1 billion budget would pay for whatever a school district needs, but there always seems to be another deficit to erase or a financial crisis to avoid. For now, the school district is managing. It has done that thanks largely to several years of annual state aid increases of around 3 percent – the same increase in the state budget passed this week – along with some conservative budgeting and cost reductions in such areas as health insurance, nursing services and substitute teachers. In fact, the district warned of a deficit last year but ended with a surplus due to some one-shot revenues. But still on the horizon are projected deficits ranging from $11 million to $25 million over the next three years. And the big challenge for the next School Board is navigating the finances of this large, complex urban district if there's a downturn in the economy, state aid increases dry up and there are not enough reserves left to plug the gaps, said At-large Board Member Larry Quinn, who has followed the budget closely for the last five years. The bottom line: There are budget issues around every corner. • Teachers contract. The three-year deal reached in 2016 between the Buffalo Public Schools and the Buffalo Teachers Federation expires at the end of June. Both sides returned to the bargaining table Tuesday. How much a new contract will ultimately cost the district will be the big question for the new board, just as it was last time around when critics, like Quinn, warned the pact was too expensive for the district to afford. Added costs in the last contract cost just under $100 million over three years. A portion was paid for with reserves, while the district has been able to absorb the rest the past three years with state aid increases and cost controls, Pritchard said. Quinn credited Pritchard for doing a good job managing the district through the three-year contract, but now what? "I don't know how you do a new contract," said Quinn, who is not running for re-election. "You gave away all of the money you had and didn't get the reforms you needed. Now, the contract's up." As in the past, union and district officials will rely on the state to help foot the bill. They had been waiting to begin a new round of negotiations until they had a better idea how much the school district will receive from the state. • Charter schools. As more charter schools have opened or expanded in the city, the payments made to charters have become the fasting-growing cost for the school district. Charters are independently run public schools that receive money from the school district for each pupil they enroll. Payments to charters are expected to go up 8 percent this year to $128 million. That amount is projected to climb to nearly $137 million next year, up another 7 percent. Meanwhile, Pritchard said, the district is left with excess capacity because the randomized nature of the student loss to charters – they don't all leave a single school or classroom – means the district can't simply close a building or lay off a teacher to compensate. • Equity. Districts like Buffalo are under greater pressure to make sure schools with the largest share of underserved students get more money. That may force school boards to juggle resources. The state for the first time is requiring districts across New York to report school-by-school budgets to ensure that taxpayer dollars are being distributed equitably to schools where kids need the most help. Gov. Andrew M. Cuomo proposed a law requiring districts to distribute funding to schools based on an equity formula. That received push-back in the State Senate and Assembly, where lawmakers ultimately decided that next year the state will begin identifying "underfunded high-need schools" and those districts will have to report back on how they are appropriating funding. • Squeezing more money from Buffalo. Most of the money in the school district's $1.1 billion spending plan comes from New York State, while only about 8 percent of the $916 million in its general fund is from the City of Buffalo. Two years ago, the school district did manage to get the city to up its annual “maintenance of effort” by another half-million dollars a year to $70.8 million, breaking a pattern of flat city funding. Look for the new School Board to continue to press the issue. • The New Education Bargain. The multi-pronged approach to improving student achievement has become the crux of the school district’s reform efforts. Superintendent Kriner Cash's signature initiative includes lowering class sizes in the younger grades to get kids better prepared early, and providing additional services after school and on weekends for kids and families who need the most help. All of that, of course, costs money. Those efforts have been incorporated into the district’s budget. Can the Board of Education continue to afford them? "If you look at the history of the district, when there's blue skies they do all of these new programs," Quinn said, "and when a recession hits, they cut all of those programs."